We were in top 3 ICT on the European Venture Summit in Berlin on 6 and 7 December 2012. It was the largest meeting point for the innovative enterpreneurs in the ICT, Life Sciences and Cleantech sectors. We won the biggest Polish startup competition - StartupFest 2011. SaveUp, an application created by our team, supports impulse purchase decisions by enabling users to take a photo of a product with a mobile phone, and buy the product immediately online. We were one of the top ten startups selected out of 500 that originally applied for the 2011. Our application SaveUp allows users to snap a photo of their object of desire, and make a purchase right then and there. iTraff Technology, focused on image recognition technology for mobile devices, won the Mobile Services Innovation Platform 2012 competition. Company received the grand prize for an innovative approach to the mobile market. I am an Investor in this company and my belief is that they provide cutting edge image recognition technology available to all developers by simple API. Having IR technologu in your app has never been easier. Sell more through photo recognition. Recognize.im enables any mobile app to recognize photos. Simply, go to recognize.im, download a code, embded it into your mobile app. Now you mobile app can sell products through photo recognition. 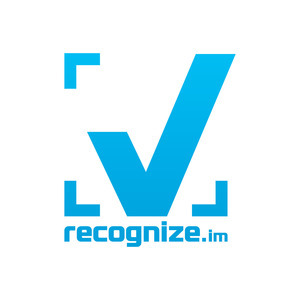 Recognize.im is an API platform which allows you to implement image recognition technology to any mobile or web application. Sell more products - Start selling products through photo recognition in your mobile app. Choose from unlimited possibilities of interaction. Find new ways of the information distribution, which will help you achieve deserved marketing goals. Fast and unlimited access - Install high speed photo recognition technology in your mobile app in less than hour. Start quickly recognizing pictures taken by your customers. Get unlimited access to photo recognition technology which we have built, we develop and maintain. Our image recognition technology can be used in many different markets. We are currently in the process of developing a new B2B solution for Retailers and FMCG Producers. Using image recognition, we can create web and mobile applications that can analyze sent images in real time. It lets the user snap a photo of any shelf in the store to obtain various data, including percent of product share on shelf, correct display of product, and much more. We are a rapidly growing company based in Poznan, Poland and Dallas, TX which was founded in 2010. Our investor at the seed stage was SpeedUp Venture Capital Group. At the beginning of this year, new members joined the group of our investors: Nest Innovation fund (founded by Piotr Wilam and Marek Kapturkiewicz, the creators of the biggest Polish news portal, Onet.pl) and business angels: Rafał Han and Stephane Senkowski (France). This year, we will begin the next round of investment, and we will also be looking for new partners in this area. Our technology is used for promotions of products by largest publishing houses operating in Poland, i.e. : Weltbild, Legimi, Helion, Nexto.pl, Gildia, Znak, Zysk i S-ka, CH Beck, audioteka.pl, Fabryka.pl.Examples of implementation: SaveUp, Art4Europe, Art4Note, Tribal Employee, Envisage, Migam.pl. For all information, please visit my LinkedIn profile which is pasted below. Ph.D. student at Poznan University Technology, Master degree in Computing Science, skilled developer. Recognize.Im was featured in a VatorNews article: "Splash SF Feb 2013 Finalist - Recognize.Im"
Recognize.Im was featured in a VatorNews article: "The winner of Vator Splash SF is... PokitDok!" Recognize.Im was featured in a VatorNews article: "Vote for your favorite startup at Splash SF Feb 2013"
Recognize.Im was featured in a VatorNews article: "Here are the 10 finalists for Vator Splash SF!"